Propulsion: Two Almy boilers, one 500hp vertical triple expansion steam engine, one shaft. 106k In port, circa 1918. 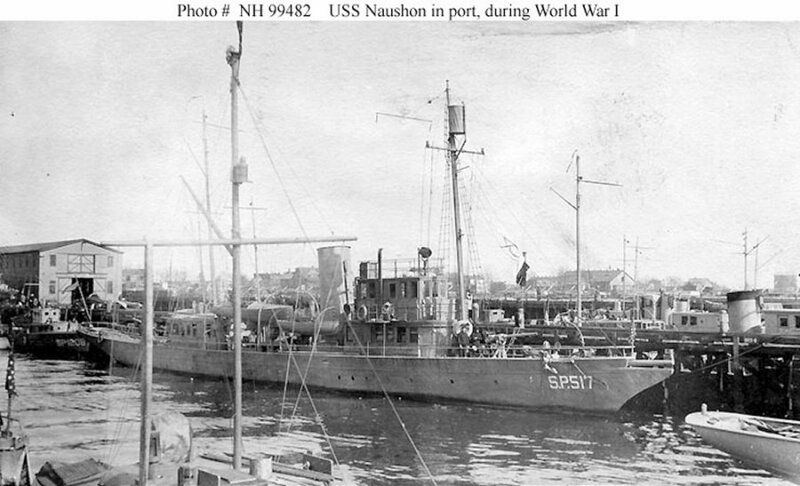 USS Ocoee (SP-1208) is immediately astern of Naushon and several other section patrol vessels are also present.